Who is a Candidate for SkinTyte? Whether you're concerned with current sagging and loss of firmness or are interested in some preventative maintenance and damage control, SkinTyte is perfect for you! 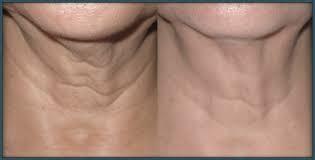 This procedure can be done on any age, skin color and area of the body. Did you know that we stop producing collagen in our twenties?!? Because of this, there are more and more thirty somethings that are turning to preventative maintenance treatments, such as botox, juvederm, BBL and now SkinTyte. If you aren't quite noticing the visible signs of aging yet, doesn't mean it isn't happening. I know it's scary to think about, but it's the harsh reality. More and more late twenty's and thirty somethings are starting to do damage control to try to delay the aging process as much as possible. Since this is primarily a preventative treatment; there aren't a ton of visible changes in the skin. However, doing regular skin tyte, BBL and botox treatments will work with preventing wrinkles, sagging and sun damaged looking skin. The number of younger skin care seekers is steadily increasing each year. With having little to no wrinkles, sagging or sundamage, the botox will work by preventing the formation of the wrinkles, the BBL will target and destroy hyperpigmentation and the SkinTyte will stimulate collagen growth to keep the skin looking young and healthy. SkinTyte is a very complimentary treatment to BBL and Botox, as well. If you're wanting to keep your skin looking young and healthy, contact our Kansas City MedSpa today. Are you already noticing the signs of aging showing on your skin? The SkinTyte treatment may be just what you need to revitalize and refresh your skin. Through a series of treatments you will notice tighter, firmer skin, with no downtime or discomfort. This treatment is great to do in conjunction with other anti-aging treatments, such as botox, BBL and product use, to see the best possible results. The best results are seen on mildly creppy, sagging skin. There is a point where surgery will be the best option and one of our estheticians can assist you with what will be your best option. Does SkinTyte Only Work on the Face? No! SkinTyte can be done anywhere on the body where there is loose creppy looking skin(within reason). The most common place is the face and neck, however, the arms, abdomen and above the knees are all common areas to be treated. Multiple treatments are necessary followed by maintenance, to see the best possible results. When you meet with one of our Kansas City area skin care specialists, they will come up with a full treatment plan with packages and maintenance schedules. If you think you're wanting to look into any SkinTyte treatments or if you would like to meet with one of our estheticians to come up with a specific treatment plan, contact our Kansas City area office today to schedule your appointment!